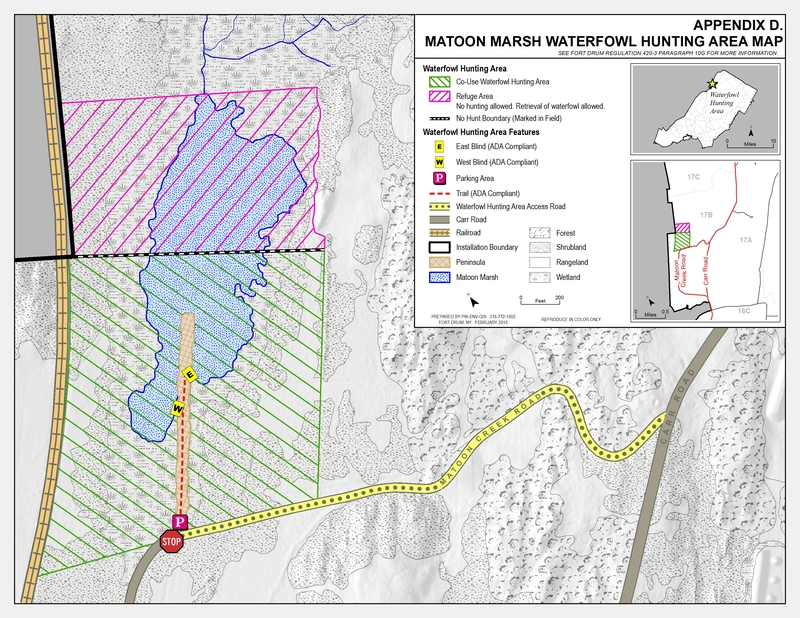 In an effort to create and maintain a sustainable and productive waterfowl hunting area and provide an opportunity for physically-challenged hunters, an approximately 75 acre waterfowl hunting area and "refuge" was established in 2015 in Training Area 17B on the peninsula at Matoon Creek Marsh. Similarly, in an effort to allow hunting in a highly productive waterfowl area throughout the season and in area often closed due to training, a second special waterfowl hunting area in Training Area 13A off of U.S. Military Hwy was established in 2017. ​Be aware, both sites have had very low water levels in 2018. A new barrier was constructed in Training Area 13A which should impound water in the future, but this area is more vegetated than usual this season. Both sites should be scouted before hunting since they look very different than past years. These are the only restricted access areas for waterfowl hunting on Fort Drum. Hunting and other recreational use of Fort Drum is in accordance with New York State Hunting Laws and Fort Drum Regulation 420-3 Hunting, Fishing, & Other Outdoor Recreation (unofficial version updated 9 Aug 2018). Fort Drum is Wildlife Management Unit 6H. Waterfowl hunting seasons on Fort Drum coincide with the Northeastern Hunting Zone in New York State. For more information about hunting on Fort Drum, see the other pages on this web site: Hunting in the Training Area or Disabled Access Opportunities. The Matoon Creek Road Hunting Area in Training Area 17B is accessed from a parking area located off of Matoon Creek Road and down a universally accessible trail on the peninsula leading into the marsh. The first approximately 400 yards of this area (including the shrubs, cattails and entire peninsula area) is within the “hunting area”; the latter 250 yards north of the peninsula and including the north end of the open water area is considered “refuge.” Access to the “refuge” is limited to retrieving any downed birds—no other act of hunting is allowed, except as identified below. The refuge area is delineated with orange buoys attached to poles in the water. 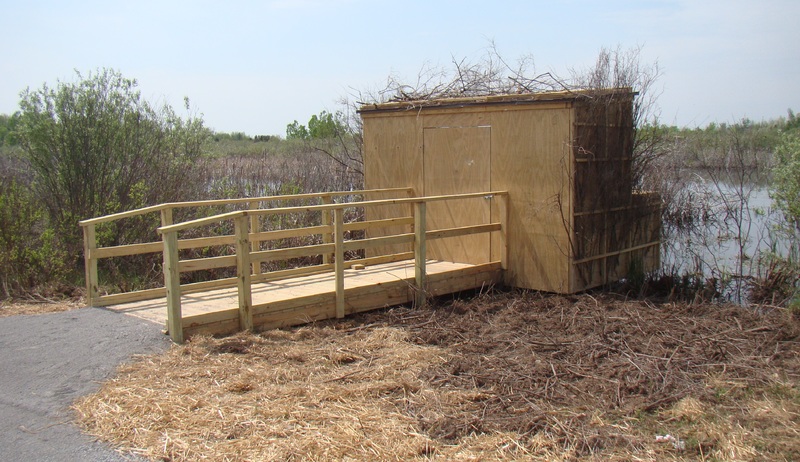 Two universally accessible waterfowl hunting blinds are available, one each on the east side and west side of the peninsula. Hunting does not have to occur from the blind, but can only be conducted facing in an easterly or westerly direction depending on the selected blind. No shooting can occur in a more than northerly or southerly direction from each blind, with the peninsula being the shootingboundary from each side (i.e., no shot can pass over the peninsula). If hunting parties from each blind wish to hunt together and are safely firing in the same direction, then there are no directional shooting restrictions. 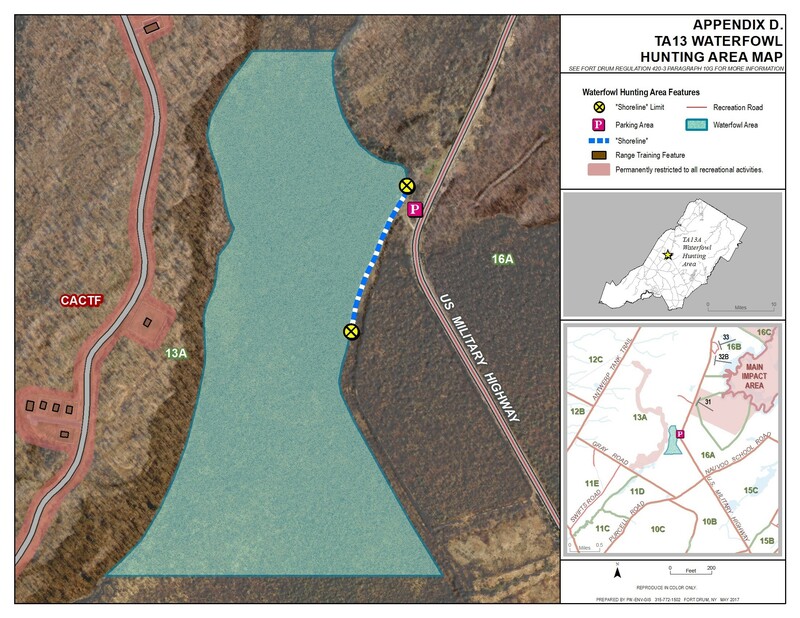 The US Military Hwy Hunting Area in Training Area 13A is accessed from US Military Hwy and utilizes an old road bed next to the marsh as an access trail. This trail and edge of the marsh is referred to as the "shoreline." When Training Area 13A is closed due to military training, the Joint Access Policy applies and hunting/shooting must occur from or within 2m of the "shoreline." There are no constructed blinds. The lottery system to hunt in these special waterfowl hunting areas is in effect during the regular waterfowl and goose seasons from October – December from ½ hour before sunrise to noon on Tuesdays, Thursdays, and Saturdays; and on Saturday during the youth waterfowl weekend. All hunters must be out of the area by 2:00 pm on hunting days. 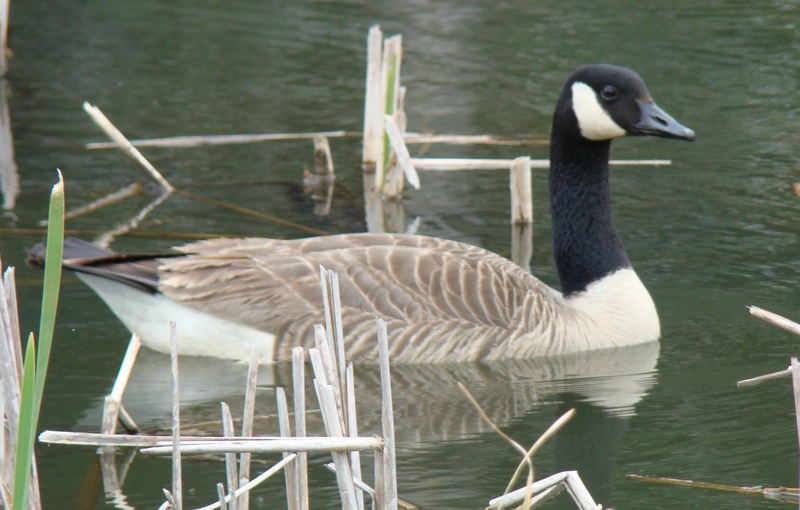 There are no restrictions or lottery in September during the Canada Goose Season. Hunting for geese can occur within the hunting and refuge area of the Matoon Creek Road Hunting Area during all legal hunting hours (i.e., ½ before sunrise to sunset). There is no lottery during the youth waterfowl weekend; however, hunting is only allowed on the Saturday of the youth weekend and is restricted to the hunting area only per the hours above. Hunting in these special waterfowl areas are available ONLY to hunters drawn in a lottery system, except during the Youth Waterfowl Weekend and September Canada goose season (see "When Can I Hunt?" above for more information about exceptions). One hunter is selected in a lottery per blind per hunting day, but that hunter can bring three additional guests. There are three levels of preference for the lottery drawing. First preference are hunters with accessibility needs which include: hunters possessing a New York State Non-Ambulatory Hunter Permit; hunters with severe permanent disabilities eligible for a New York State Parking Permit or License Plate; or hunters with a life-threatening illness participating through a non-profit organization. To be considered, hunters must contact Fort Drum’s Natural Resources Branch (315-772-9303 or Fred.J.Ossman.civ@mail.mil) to show proof of eligibility and register. Second preference are Soldiers currently assigned to a Warrior in Transition Unit or disabled hunters with a 100% Rating Decision in a VA Award Letter. To be considered, hunters must contact Fort Drum's Natural Resources Branch (315-772-9303 or Fred.J.Ossman.civ@mail.mil) to show proof of eligibility and register. If no hunters apply in the first two preference levels, then the lottery is conducted with all other applicants. Chosen hunters may have up to three other guests in the blind, but the hunter chosen in the lottery must be present. There are no preferences for the lottery. The chosen hunter may have up to three other guests in the area, but the hunter chosen in the lottery must be present. These are considered joint use areas, meaning if Training Area 13A or 17B is closed to recreation because of military training, waterfowl hunting may still occur subject to determination by Range Control. Hunters that are selected through the lottery must still contact Range Control (315-772-3152) to utilize the joint access policy on the hunting day. If no Joint Use is allowed due to training activities, hunters will be informed as soon as possible. If closed to recreation, access to the hunting area must occur from the northern end of Matoon Creek Road (see Appendix D map above) and vehicles can go no further than the parking area. All vehicles must be parked in such a way to not obstruct the road, accessible trail, and/or disabled hunter’s vehicles (i.e., enough room should be left for hunters to access their vehicles to load or unload wheelchairs or other mechanisms of transport to and from the hunting area). When Training Area 13A is closed due to use of the CACTF for military training, the Joint Access Policy applies and hunting/shooting must occur from or within 2 m of hte "shoreline." If Training Area 13A is open for recreation, there are no restrictions and hunting can occur anywhere in the area. * All hunters are still required to check-in and check-out through the Sportsman’s Hotline per Fort Drum Regulation 420-3. * Hunters with accessibility needs must hunt with a dog or at least one other hunter capable of making difficult or challenging retrievals to minimize loss of wounded animals. * Each hunter may not use or possess more than 25 non-toxic shells per day. * No feeding or baiting of wildlife for the purpose of hunting is allowed. * All other federal, state, and Fort Drum regulations apply. Lottery requests must be submitted via e-mail at Fred.J.Ossman.civ@mail.mil by 6:00 am on Thursday morning to hunt the following Tuesday, Thursday, and/or Saturday (e.g., 6:00 am Thursday, October 11 to hunt Tuesday, October 16, Thursday, October 18; or Saturday, October, 20.) This lag should provide the necessary coordination with Range Control to ensure co-use and no last minute cancellations due to military training. A calendar with the dates is provided for your convenience. Selections will be made by close of business Thursday and the applicants will be informed via e-mail or text. During Thanksgiving week, lottery requests must be submitted by 6:00am Wednesday, November 25, and select ions will be made by close of business Wednesday. Applicants will have until 6:00 am the Monday following the lottery to reply to Fred.J.Ossman.civ@mail.mil and provide any updates of names and pass numbers of the hunting party that will be hunting on the designated days. Up to four people including the selected individual may hunt from the blind (or blind area) on the selected day. This information will be provided to the game wardens and Range Control to facilitate co-use of the area with training. In order to track the success of this effort and make improvements, applicants will be contacted with a short survey after the hunt requesting information re: total # of hunters participating, # and species of waterfowl seen, # and species of waterfowl harvested, and # and species of waterfowl shot but not recovered. Applicants that do not reply, show up for their hunt, and/or fail to respond to the survey will not be eligible for future lottery drawings.